Medical marijuana has been popular for several decades now, and it’s been used traditionally in forms of naturopathic medicine for many centuries. After the focus shifted from people using cannabis as a terrible mind-altering drug, the medical community began to recognize that there are endless medicinal applications for the plant. There are many different compounds found in the cannabis plant. Up until recent years, the most commonly sought compound was a cannabinoid known as THC. Recently, however, it has become clear that another cannabinoid known as CBD can be just as useful as medicine. CBD has been proven to help manage the symptoms of a huge number of diseases. The medicine is so versatile that it’s been used to help treat anything ranging from mental health issues, such as PTSD and anxiety, to physical problems like chronic pain and IBS. One of the most promising benefits attributed to the use of CBD is the way that it can help people manage cancer. In this article, we aim to explain just how and why CBD is so useful for helping to treat this devastating condition. CBD, or cannabidiol, is one of the main active compounds found in the cannabis plant. The compound has been found to have a huge number of medicinal benefits and can help people manage acute and chronic problems. Many people are initially wary of CBD when they hear that it comes from the cannabis plant. Despite the fact that marijuana is becoming legal in more and more states, many people are still apprehensive about using or being associated with it. The main reason for this is because cannabis is a psychoactive substance – it changes the way that we think, feel, and act. This is largely a result of THC, or tetrahydrocannabinol – another compound found in the cannabis plant. CBD, on the other hand, is not psychoactive. One of the reasons that it’s so attractive for medicinal users is because it doesn’t cause you to get high and doesn’t alter your perception. This makes it ideal for people who are unable to medicate with cannabis containing THC. CBD can be obtained on its own or in the form of hemp oil or cannabis extract. There are different strengths and potencies to these products and we’ll outline later how you can properly use these medicines for fighting cancer. Marijuana has been used for quite some time to help patients manage their cancer. Up until now, THC had been the only cannabinoid that had really been studied. Much of the benefits of medicinal marijuana were attributed to THC. While THC can certainly be useful, now we’re beginning to understand that CBD plays just as important of a role in helping people manage the symptoms of their cancer. The two cannabinoids tend to work quite well together and some report that they’re even more effective when used together than they are alone. Some of the most impressive recoveries from cancer have involved the use of cannabis. In fact, as observed in a study by Pawel Sledzinski, et. al, cannabis shows remarkable potential at helping to shrink tumors associated with a wide range of different cancer. Considering some of the side effects and dangers associated with more traditional methods of cancer therapy, this is very promising. A natural medicine like cannabis has been proven, time and again, to effectively reduce the size and slow or entirely stop the growth of cancerous tumors. How Does CBD Destroy Cancer Cells? If you want to understand how CBD works against cancer cells, then it could help to have a bit of an understanding about the normal process of a cell’s death. There are several different ways that a cell can meet its end, regardless of whether the cell is cancerous or not. Necrosis. This is similar to an accidental death – sometimes, conditions in the body are simply not ideal for a cell to survive. Much like a person may meet their death in an accident, so too can cells die off when something dangerous happens to them. Necrosis tends to occur more in people who have unhealthy diets or who live unhealthy lives. Necrosis can also occur as a result of things like drug abuse or alcoholism or physical trauma. Usually, after necrosis, the cell releases some of its internal contents. This can cause inflammation in the body or in the surrounding cells. In the case of cancerous cells, this can cause tumors to grow even quicker. Apoptosis. Apoptosis is sometimes referred to as a ‘clean cell death,’ in the sense that there is not usually any inflammation that occurs after the cell dies. In the case of cancerous cells, apoptosis is an ideal way for a cell to die. If you have cancer and you’re wanting to help shrink the cancer tumors, then you’re going to want to find a way to do so through apoptosis. Necrosis of cancerous cells can lead to more inflammation and can further accelerate the development of tumors. A study pioneered by AS Sultan, et. al, revealed that CBD can help to induce apoptosis in breast cancer cells. The study points out that CBD is highly effective as a non-psychoactive compound for people hoping to fight their cancer tumors. In addition to actually being able to shrink the size of your tumors, the CBD found in hemp oil can be fantastic at helping to fight off different symptoms of cancer. This means that not only will you be able to eventually kill your cancer, you’ll be able to do so with less discomfort. One of the biggest issues associated with cancer is that people begin to lose their appetite. This can be a result of the cancer itself, but it can also be a result of some of the medications and therapies used to treat cancer. Most of us are familiar with the reputation that cannabis has for inducing ‘the munchies:’ a state in which a person becomes extremely hungry, unable to satisfy their appetite even after eating ridiculous amounts of food. While this might normally be a bit of a nuisance, stimulating the appetite can be incredibly important for someone who’s struggling with cancer. Many cancer patients eventually begin to lose weight and strength because they’re unable to maintain their appetite. It has been known for some time that marijuana can be useful for helping cancer patients improve their appetite. D.I. Abrams dedicated a section of a study to the importance of using cannabis to help stimulate appetite. It’s important to note, however, that CBD is actually known to help regulate this appetite-stimulating effect. Celia Morgan observed this in a study comparing the effects of cannabis strains higher or lower in CBD. This means that if you’re hoping to specifically increase your appetite, you’ll want to use a cannabis oil that has equal parts THC and CBD, or a higher amount of THC. One of the most difficult and disruptive symptoms that cancer patients have to live with is chronic pain. The pain from cancer can be quite severe and can be distracting, preventing a person from accomplishing their daily tasks. One of the issues with conventional pain killing methods is that most painkillers, such as morphine and fentanyl, can be quite debilitating on these own. These drugs are incredibly powerful and are known to lead to devastating addictions, physical issues, and even death. CBD has been studied for some time for its ability to help fight pain. This is an attractive alternative to more conventional painkilling methods because CBD isn’t known for causing addictions or having any serious side effects. A study by G. Velasco reports that cannabinoids have proven to be so effective at helping to fight cancer-related pain that a standardized extract using these compounds has already been approved in Canada for helping to fight off cancer pain. Another great thing about CBD is that it can be used to supplement some of the other treatments that are commonly used for fighting cancer. Things like chemotherapy and traditional painkillers are known to cause a number of unpleasant side effects. One of the best things about CBD is the way that it can help people who are struggling with chemotherapy. In addition to speeding up the rate at which cancer cells will engage in apoptosis, CBD is great for helping to reduce some of the discomfort associated with the treatment. One study by Sara Jane Ward and her colleagues reported that CBD is able to help reduce the nervous discomfort that often comes along with chemo. Many patients report an uncomfortable tingling sensation in their extremities; CBD can help to reduce this. The most common medication that’s used to treat this nervous discomfort is Paclitaxel, which is known to contribute to neuropathy. Many patients have to discontinue their treatments because this becomes so uncomfortable. Another issue that’s quite common among people who are struggling with cancer and who use traditional treatment methods such as chemotherapy is the fact that they will often experience a great degree of nausea and vomiting. As some of the agents of this harsh form of treatment begin to circulate in the blood, the body detects them as pathogens. Nausea and vomiting is typically a bodily response that indicates that there is something in the body that needs to be ejected. Unfortunately, since chemo patients often undergo the process for weeks, months, or years, this nausea can become relatively constant. CBD is known to be able to help reduce this sort of nausea. One study by M Duran and colleagues revealed that a mixture of CBD and THC is highly effective at helping to reduce chemotherapy-induced nausea. Patients reported a significant degree of relief after using these medicines. The process of developing cancer is quite upsetting and can leave patients feeling overwhelmed, distressed, and traumatized. Unfortunately, the reality is that many of the current treatments for cancer are aggressive and can leave patients feeling even more traumatized. When a person undergoes a highly disturbing or distressing experience – such as getting chemotherapy treatment – this experience leaves a mark on their memory. If they don’t address this trauma, it can lead to problems such as PTSD. Fortunately, cannabis therapy and CBD have been shown to be useful for helping patients manage their response to traumatic situations. For example, CBD has been known to help people struggling with PTSD. PTSD, or post-traumatic stress disorder, is a condition in which a person may experience chronic nightmares, flashbacks (certain situations or people may lead them to thinking that they are re-experiencing their trauma), anxiety, and depression. Studies, such as the one headed by Rafael Bitencourt, have confirmed that CBD can be a useful alternative to traditional therapy when helping people manage their PTSD. Combined with the other ways that CBD can help to physically alleviate cancer symptoms, this is a promising idea. One of the most important things to consider if youère going to be using hemp oil or CBD for managing your cancer is the dosage that you’re going to use. There are a few things to consider in this regard. The strength of your CBD. The most commonly available form of CBD is in capsules or oils and tinctures that can be obtained from head shops or pharmacies. Unfortunately, these doses are relatively mild compared to what a serious cancer patient might need to use. The best option for someone who is seriously hoping to kill tumors or fight off the symptoms of late-stage cancer is to get a pure form of CBD. CBD can be obtained in its pure form from some head shops, and in areas where CBD is legal, some doctors can help prescribe. How serious your cancer is. People who catch their cancer in its early stages are lucky for many reasons. 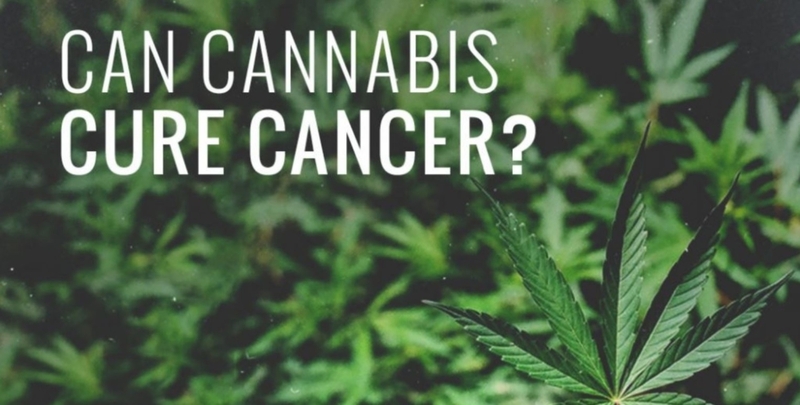 Of course, they’re lucky because they’re more likely to be able to eliminate the cancer easier – through surgical methods or alternative treatments like CBD. If you do choose to go the route of using CBD to help manage your cancer, then you’ll likely end up using much less. Even when keeping these things in mind, there is no way to describe a single dose that will benefit everyone who is struggling with cancer. Dosage ranges can vary intensely, and CBD hasn’t been studied extensively enough for there to be a standard dosage for people with cancer. What’s important to note is that people who do use CBD for cancer will need to take significantly larger doses than those who are using it to treat other problems. Typical doses of CBD for anxiety, for example, range between 5 mg and 50mg. People who are using CBD for other painful conditions often require a bit more for any significant relief. Some report dosages of between 100-500 mg to help treat conditions related to chronic pain. Dosages for cancer are often even higher than this. Some people need to use between 500mg to 1000mg of CBD on a daily basis to help actually reduce the size of their tumors. This is why it’s important to try and get your CBD through a medical dispensary if you’re using it for this purpose, because health insurance can be important for helping acquire dosages this high. If you’re using a regular headshop to source this much CBD, it will get expensive very quickly. There’s no doubt that CBD is a very powerful medicine. There are more and more applications that CBD is being used for all the time, and as science catches up to the potential of this medicine it seems that there’s no limit to what it can do. In this article we discussed the powerful potential that CBD provides for helping people manage their cancer. It has been shown to be instrumental in fighting off symptoms of various forms of cancer and seems to be non-selective in the types of cancer that it can help treat. CBD has been known to help people manage chronic pain. It’s been proven to help reduce the size of cancerous tumors. It’s even known to help accelerate the effects of current cancer treatments while reducing some of the side effects from things like chemo. While CBD can be a bit expensive, there’s little doubt that it’s one of the most promising and powerful medicines for helping to treat cancer. It does this while causing very few side effects and without causing any addiction. Hopefully after reading this article you understand a bit more about the potential of this medicine. The future of CBD and cancer treatment seems promising, and the best way to ensure that this medicine makes its way to more people is to share knowledge about it.